and the new dystopian novel, After the Bubbles. One minute, Erin Fredericks is daydreaming in geometry class. The next minute, she's running for her life. Oddly shaped bubbles are falling from the sky all over the world, transforming everyone who comes into contact with them into extraordinary beings that are no longer human. And these monsters want to kill people, which they can do just by touching them. Erin, her family, and her neighbors are trapped in their houses by Cyndy Louise, one of the evolving creatures Erin calls "touchers." As the situation worsens, Erin and the remaining residents of Walnut Lane—along with a handsome young stranger—must fight for their food, their homes, and their very lives. Facing a seemingly invincible foe, how will they manage to survive? 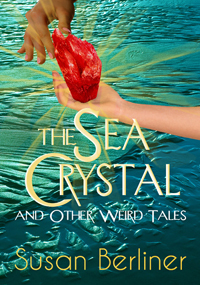 In this weird world, you'll encounter a variety of genres--from thriller and horror to fairy tale and humor. Enjoy your visit. graduation, the fun vacation quickly morphs into a perilous adventure. After photographing an abandoned gold mine, Loren swipes a bottle of water from an eerily robotic man stocking bottles in the only occupied store of an otherwise deserted shopping center. The water's effect on Loren leads the pair to investigate the strange little town of Corsonia--despite threats from the local sheriff. And when Loren and Tracie befriend a child named Boy 11, who tells them about his curious life and upcoming fate, the girls become even more determined to figure out what is going on. As the relentless teens uncover a horrifying trail of evil, they put their own lives in dire jeopardy. 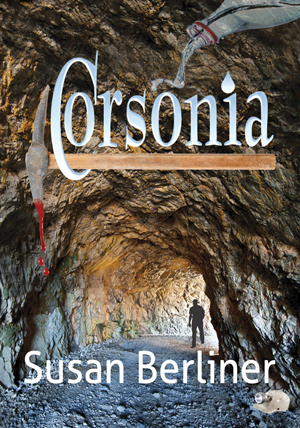 Will the girls be able to rescue the people of Corsonia--or will Loren and Tracie become the town's next victims? When Jillian Keating is arrested for the murder of her missing boyfriend, Ryan Cornell, she has two immediate questions: Why did he frame her--and where is he hiding? Using her own ingenuity, plus the help of a resourceful lady lawyer and a dashing young private investigator, Jillian discovers the surprising--and disturbing--answers. Her boyfriend is not what he appears to be. The real Ryan, consumed with hate, has devised an ingenious scheme to destroy her while he escapes into the past via a hidden time travel portal. But even knowing all this, Jillian is left with a more difficult question: How can she capture Ryan and bring him back? On a quiet summer day, 13-year-old Kady Gonzalez sees an armored silver fish leap high in Peachwood Lake. She thinks it's an awesome sight--until, a few minutes later, Kady watches in horror as the same jumping fish savagely attacks a neighbor in his rowboat. That's the start of the malevolent fish's war on the pristine Connecticut lake. 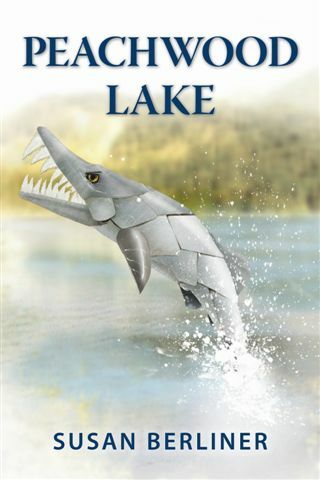 While the mysterious fish continues to attack anyone venturing into the water, town officials desperately attempt to destroy the demonic creature. Will they succeed without having to sacrifice Peachwood Lake --and will "Fraidy Kady" succeed in conquering her own personal demons? The following evening, Karen hears her neighbor's dog barking loudly. 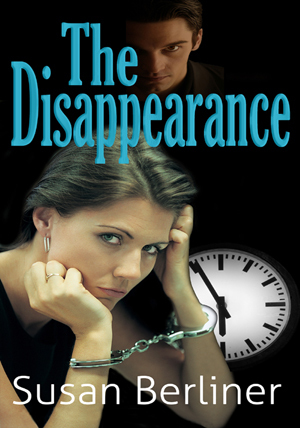 Upon investigation, she finds her neighbor, Marion, at the bottom of the stairs—dead. At the top of the stairs, a colorful whirlwind of dust circles ominously. Now the feisty librarian must consider the unthinkable: Could the dust be responsible for her neighbor's death and, if so, would it kill again? Karen turns to her ex-husband, Jerry, for help and together they bravely confront the mysterious dust. But will their daring actions cost them their lives? Susan Berliner has worked as a newspaper reporter, editor, promotion manager, and nonfiction writer. She lives with her husband, Larry, in Yorktown Heights, New York where she's writing short stories and editing Soldier Girl, Book Two of The Touchers.